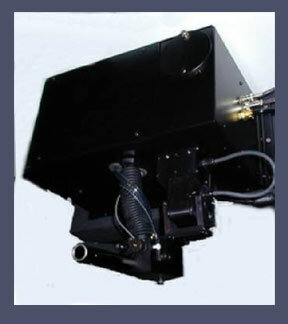 The Big Rush Inc Mobile Firearms Simulation Centre is equipped with PRISim's patented ShootBack TM cannon. Its training principle is simple and devastatingly effective. An instructor-aimed cannon is mounted above center-screen to fire .68 caliber nylon projectiles synchronized with scenario. The ShootBack Cannon fires accurate single, 3-round burst or full auto "hostile fire". that provides dramatic reinforcement and immediate learning. All images are the copyright © property of Big Rush Inc.